This is one of the many messages Rabbi Zalman received this Pesach when he launched his Shmurah Matsah campaign. 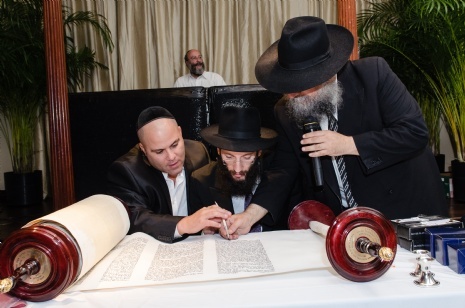 A few weeks before the holiday, Rabbi Zalman wanted to carry out the project which the Lubavitcher Rebbe launched many years before of making sure that every Jew has Shmura Matsah for the Seder. He wasn't sure how many he needed and how they would all be delivered. 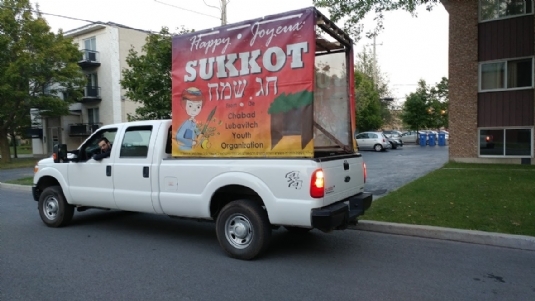 He went on with it anyways and 100 packages with 2 Shmurah Matsahs, a passover guide and an explanation on the importance of Shmurah Matsah were prepared by the Yavneh boys students. Now the next big step was how to get the packages delivered. After a few phone calls to people in the community, Rabbi Zalman had 13 volunteers from different areas on the South Shore to deliver the packages. 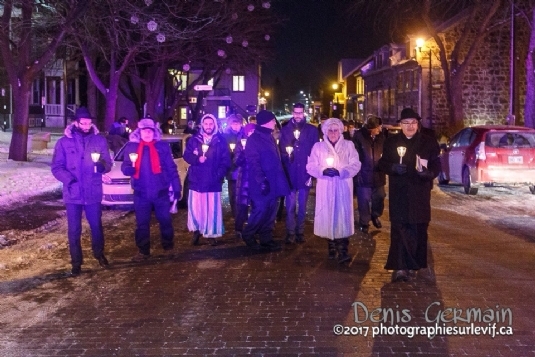 The packages were quickly distributed to all the homes throughout the South Shore, from Longueil to Chateauguay and going all the way to Lacolle. Some of the Hebrew school students gave to their Jewish friends in school. A few days before Pesach due to high demands, Rabbi Zalman realised he needed more packages. Until a few hours before the holiday, the packages were still being distributed and people were calling in search for Matsah. 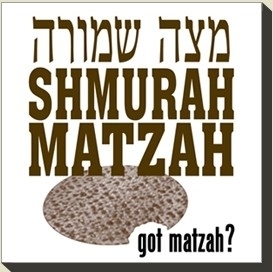 Thanks to the Lubavitcher Rebbe who cared for every single Jew and whose vision went so far, over 150 packages of Shmura Matsah were given out on the South Shore, a small but growing Jewish community. We hope that no Jew was forgotten this Pesach! We would like to thank our donors and volunteers who helped make this happen. 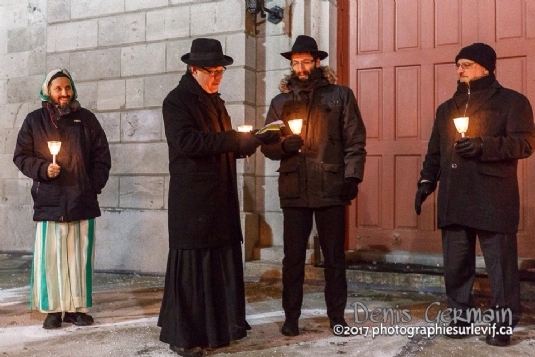 It's been a month since the terror attack on the mosque in Quebec. This incident caused a lot of movement in many communities. 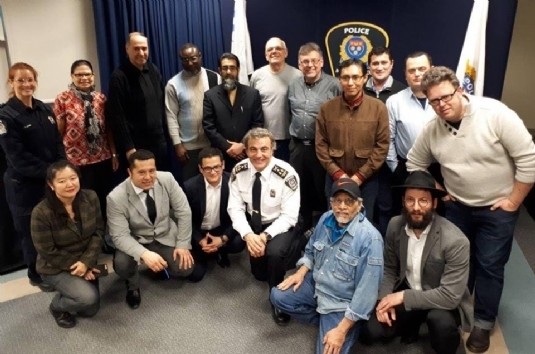 Rabbi Zalman received calls from the Christian, Muslim and few other diverse communities reaching out to connect and show solidarity. 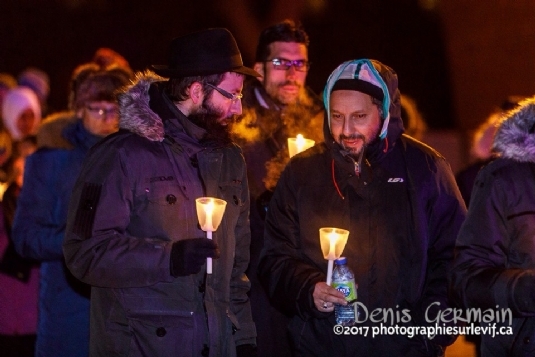 A few days after the attack in Quebec, Rabbi Zalman joined père Sylvain Tremblay, Imam Foudil and many other people from various religions and backgrounds in a ceremony honoring the victims of the terror attack. The words Rabbi Zalman shared that night was how education is the key to avoid similar attacks like this one. We must teach tolerance and accept others. We have to teach our youth the right way to look at others. In a second event of unity amongst diversity that he was asked to talk, Rabbi Zalman explained the passage of Shema Israel. He said that all creations come from one G-d, if we really understand this we will only see good and beauty in the other. The many positive responses from this horrible tragedy gives us a strong message. The world is changing and people are ready to accept differences. We hope that this will only lead to a better world where all nations will be able to live in peace amongst their many differences and serve One G-d. 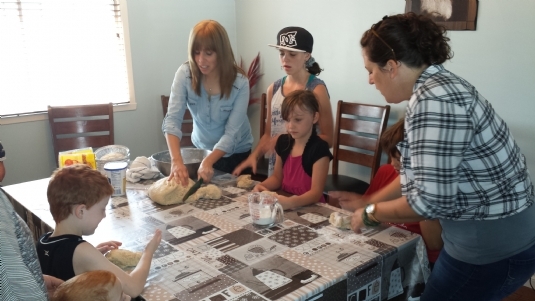 This year, for chanuka, our mission was to bring more light and awarness on the South shore. 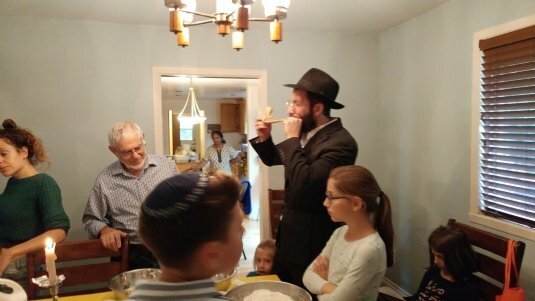 Even before chanuka started until the very last day of chanuka, the Jewish community throughout the South shore was busy with chanuka activities and mitsvot! 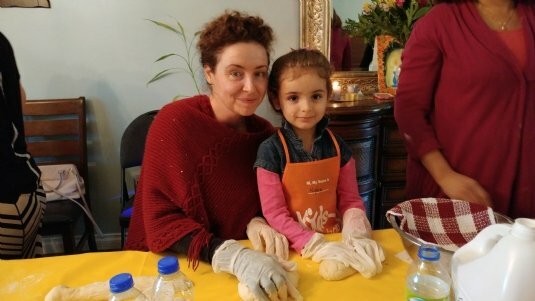 The Sunday before the holiday started, the Hebrew school children and other children who were not part of the Sunday program, went to Home depot for a pre chanuka workshop. Icy cold weather did not stop anyone from coming and the workshop was full! It was so much fun making super dreidles with pencils, wooden cubes, paint sticks and string. The children also got to make their very own menorahs. During Chanuka, yeshiva boys came in from the US to bring light and share the joy of the holiday with others. They went to shopping centers and to over 50 houses in the whole area of South shore, lighting menorahs, giving donuts and spreading joy. 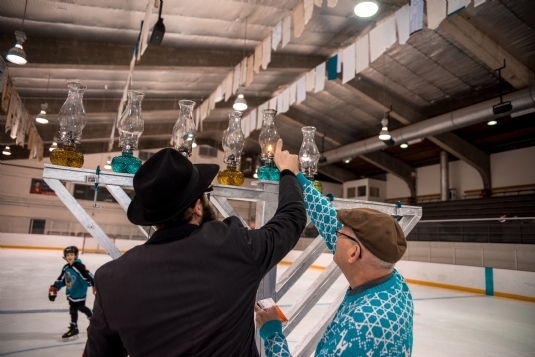 On Wednesday, was the grand Chanukah on ice party. There is no better way to celebrate then with the main winter activity in this city- Ice skating. 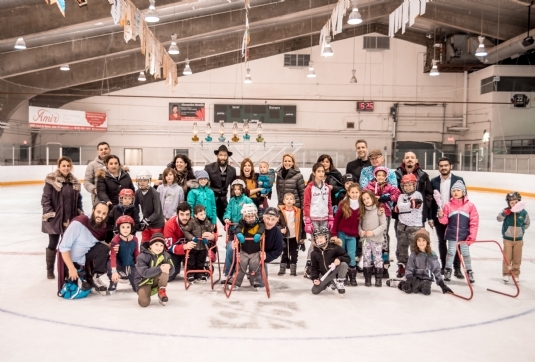 Hockey players or regular ice skaters all joined on the ice for fun chanuka games with Zvi Hershcovich. His fire and ice show had the crowd blown away. There was hot chocolate with different toppings to warm everyone one up, cotton candy to make the experience so much more exciting and of course the traditional Chanukah foods- donuts and latkes. At the end of the show, everyone gathered around the beautiful 7 ft tall silver menorah. The Rabbi sang the blessings with his loud and beautiful voice and the crowd watched the lighting of the Menorah. There were 5 candles that night and those flames dancing in the middle of the ice skating rink gave over a powerful message to those watching. Chanuka ended off with a Shabbat morning minyan and Kiddush in honor of the passing of 2 congregants deceased mothers. 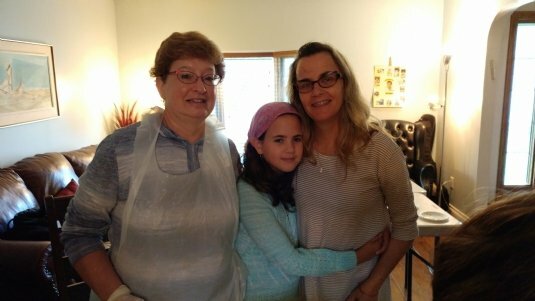 Spreading the joy and warmth of Judaism is vital for the Jewish community and the world. 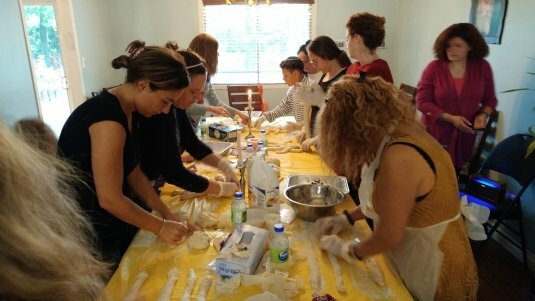 The Jewish community here is growing and vibrant. Spreading that awareness and freedom of self expression is the message which the Menorah and chanuka flames give over. With this busy and filled Chanuka, we hope it brought us a step closer to when the world will be filled with light and true freedom and peace will be upon the earth! It’s been four years since I moved on shlichus. We moved to a suburb twenty minutes away from the community I grew up in. I had never heard of that place before and felt a little uncomfortable about moving there. You see, I don’t like when people tell me how to think and feel about G-d, I find it very personal and like to do it my own way, so I didn’t want to do that to others. I also thought that if they lived there it was probably because they did not want to be part of a Jewish community. I still agreed to move for my husband, he grew up in that lifestyle and I knew how important it was for him to go on shlichus. I told him "you’re the Rabbi and I’ll do the cooking, but I don’t want to be called rebbetsin or give any classes." 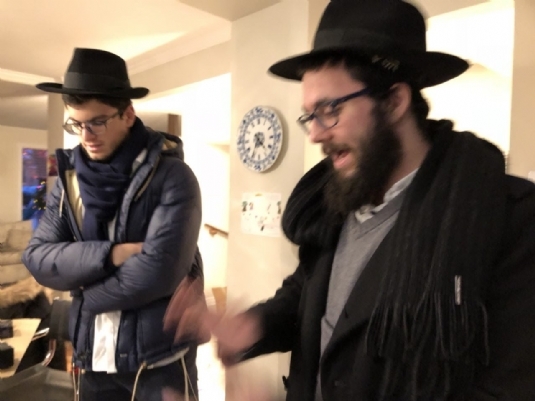 My experience changed my view and moving out of a Jewish community to go on shlichus made me realise what the Rebbe really wanted from his Chassidim. I felt like it was more for me then for the people who lived there. It made me get in touch with people I would never have met if I lived in the neighbourhood where I grew up. I discovered beautiful and real people with strong values and a strong connection to G-d that I didn’t even have. It challenged me to question myself constantly, if I would have been in their place would I really be who I am today, would I really be better then them? Would I have the strength to change my lifestyle? 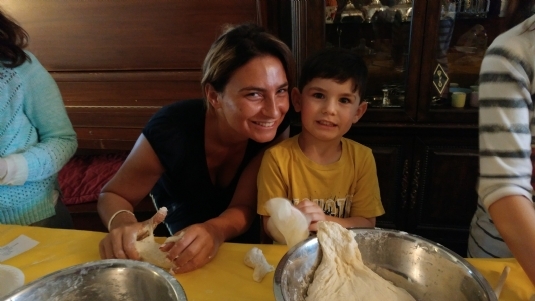 They were the ones to ask me to open a Hebrew school, they wanted their children to learn about their education, something they weren’t able to have growing up. The discussions were so mind opening and I built friendships with people I would never have if I stayed in my community. It made me dig deeper into myself and think about my own values, beliefs and philosophies. It made me understand (just a little) what the Rebbe's vision about making the world better is. The Rebbe came right after Hitler and he rebuilt what Hitler tried to destroy. Hitler wanted to get rid of any humans that weren’t perfect like him in his evil eyes. Starting with the Jews, then the disabled, the gays, colored people and so on. He did it with brilliance, starting slowly bringing in people to join him in his evil plan. He then went through the process of spreading hate towards the Jews and slowly crushing their essence, sending them to ghettos, separating children from their parents and killing them, separating couples, sending them to camps and lowering them to the level of animals where their basic needs of survival were at stake. The Rebbe, the opposite of evil, lead people to spread love and light. Jews from all different backgrounds, non – Jews or just anyone who needed advice in their life came to meet him. He made people with disabilities feel special and empowered children to be a part of his mission. 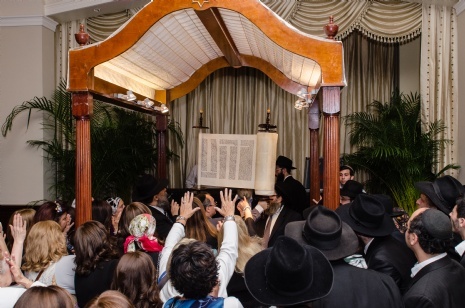 He met with thousands of people privately, uplifting them with his kind words and bringing out their full potential, made gatherings where people united in songs and words of Torah. And more importantly he empowered his followers by giving us the chance to carry on his mission. To become leaders who spread that love and break the stigma of stereotypes and differences that separate people from one another and to accept people as they are. 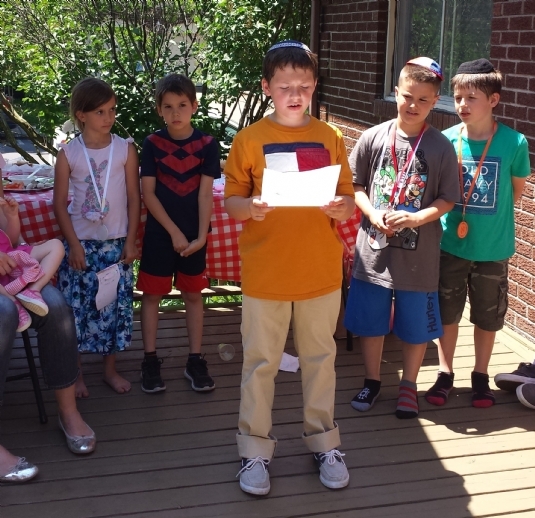 A few weeks ago, we celebrated our first bar mitzvah from one of our Hebrew School students. 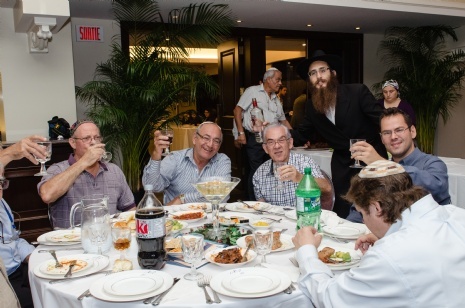 His father, who is non – jewish, spoke at the Kiddush and said that it’s important for him that his son knows where he comes from. When I heard this I knew I was on the right track. My job as a shlucha is not to dictate, judge or tell people what to do or think. It’s to educate, empower and love another person for free. It’s to uplift and bring out the best in people just like the Rebbe showed us. I try to apply this to anyone I see, not only the people that are in my community because being a shlucha is everywhere and anywhere. I keep on telling myself that people don’t choose their family, the place they are living in or the life they have, so let them choose how they want to lead their life. I lead by working on myself and fixing myself (the hardest job). Most importantly, I give over that free love over to anyone who needs it. I think we all have this mission and every human has to take the responsibility of leading in their own way.It is attainable and it’s the only reason why we are here on earth. We all have something to share with others that someone else doesn't! Shana Tova and may this year lead us to the coming of Mashiach! If there is one Jewish holiday which is familiar to the whole world, it has to be Chanukah. Any child, (or even adult!) is familiar with the image of a Menorah. 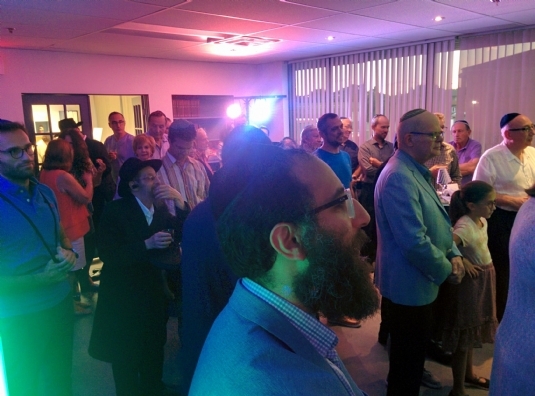 At Rabbi Zalman Samama’s home, Brossard’s first-ever major Chanukah event was celebrated by the Jewish community of the South Shore. The party took place on the 13th of December, and began with a ceremonial lighting of the Chanoukia (Menorah). Following this, Rabbi Zalman took out more Menorah’s so that each one of his guests had a chance to light the candles for his or her family. Certainly this was a warming experience, spiritually and physically as well! After indulging in some delicious fruit, pancakes and latkes and having had the chance to become acquainted with the other guests, we let Allan Greenberg take the stage to put on his magic show. His classic performance of tricks kept everyone startled, impressed and entertained non-stop. I’m sure no one could figure out how he pulled so many kerchiefs from his mouth, from where he suddenly pulled out live, colourful birds from nowhere, or how he stuck a long needle through a balloon without popping it. The kids were completely awestruck and captivated. The adults had the double-bonus of enjoying the show themselves and seeing their kids so happy and excited! 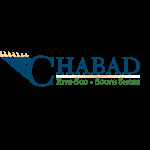 The evening was overall a very enjoyable and fulfilling one for all, one of the first of many coming successes for this Chabad. The atmosphere was perfectly comfortable and sociable, and the events moving and downright fun. Chabad of the South Shore took care that everyone they could possibly reach would have a chance to light their own Menorah – this Chanukah is sure to leave a lasting impression on the local Jewish community. We’re all ready now for more – next, Purim!